Alt Resources Ltd (ASX:ARS) is pleased to announce initial results from the 3rd phase RC drilling program undertaken at the Bottle Creek Gold Project. Recent RC drilling at the south end of the Southwark deposit covered 150 metres of additional strike length. 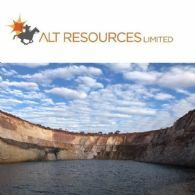 Alt Resources Limited (ASX:ARS) is pleased to provide shareholders its Activity Report for the Quarter ending 30th September 2018. 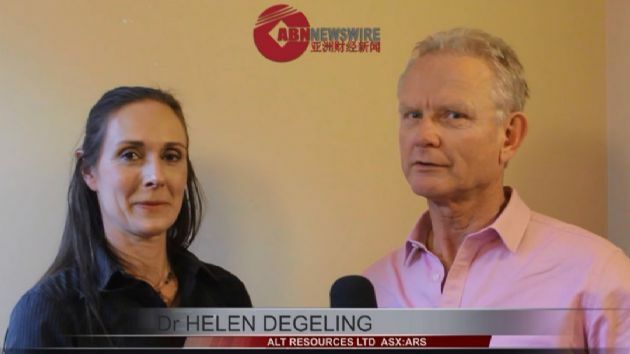 Alt Resources Ltd (ASX:ARS) provides the Company&apos;s latest Corporate Presentation. Alt Resources Ltd (ASX:ARS) is pleased to provide an update to the Bottle Creek Mineral Resource estimate for the Emu and Southwark deposits. A second round of RC drilling testing extensions to the north and south of the Emu deposit, as well as laterite-hosted mineralisation at Southwark, has provided an additional 50,000 oz Au and 246,000 oz Ag. Alt Resources Limited (ASX:ARS) is pleased to provide the following information on exploration progress at the Bottle Creek Gold Project. Challenge Drilling has completed an 3000 metres of the planned 5000 metre Phase 3 RC drilling program at the Company&apos;s flagship Bottle Creek Gold Project with all sampling from the RC program delivered to ALS laboratories in Kalgoorlie. Alt Resources Limited (ASX:ARS) is pleased to provide the following information on the acquisition of Bottle Creek Gold Mine. In November 2017 the Company entered into a binding Option to Purchase Agreement to acquire the Bottle Creek Gold Mine located 80 kilometres north west of Menzies in the Mt Ida gold belt WA. 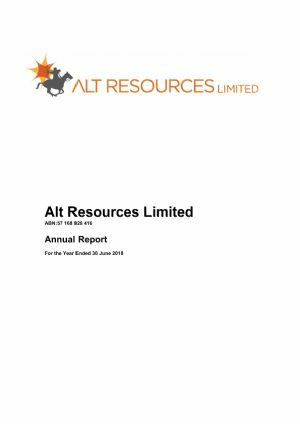 Alt Resources Ltd (ASX:ARS) provides the Company&apos;s Annual Report to shareholders. Alt Resources Ltd (ASX:ARS) provides the Company&apos;s latest investor presentation. Alt Resources Ltd (ASX:ARS) is pleased to announce assay results from the second phase of RC drilling at the Bottle Creek Gold Project. Alt completed 45 drillholes for a total of 2,468m. This included 29 additional holes at the Emu deposit to define gold extensions for incorporation into the Company&apos;s Mineral Resource Estimate. 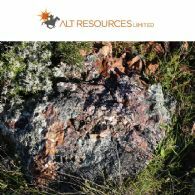 Alt Resources Ltd (ASX:ARS) is pleased to provide this Corporate Update for Company shareholders. Alt Resources Ltd (ASX:ARS) is pleased to announce the results from its recent diamond drilling program at the Southwark and Emu deposits, Bottle Creek Gold Project, WA. 14 diamond holes were drilled, for 1,222m. Of these 7 holes were diamond tails extending previously drilled RC holes, and 7 were new diamond holes drilled from surface. Alt Resources Ltd (ASX:ARS) is pleased to advise a maiden JORC compliant Mineral Resource estimate for the Emu and Southwark deposits, at Alt&apos;s Bottle Creek Gold Project of 1.65Mt @ 2.1 g/t Au, for 109,500 oz gold, including 1.55Mt @ 13.0 g/t Ag for 0.65 Moz silver. 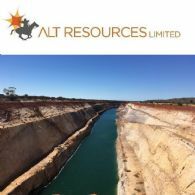 Alt Resources Ltd (ASX:ARS) is pleased to announce the results from preliminary testing of the historical Bottle Creek Mine Tailings Dams, WA. 66 shallow Aircore holes were drilled for 323m. The maximum hole depth was 12m with hole spacing of 20m. Alt drilled north-south and east-west fences across each of the dams. Alt Resources Limited (ASX:ARS) is pleased to provide shareholders with an overview of recent and planned exploration activity at the Bottle Creek Gold Project, Mt Ida gold belt. The Bottle Creek Project is located 95 kilometres north-west of Menzies in South Central WA. Alt Resources Limited (ASX:ARS) is pleased to provide this exploration update and advise the completion of the second phase of RC drilling at the Company&apos;s flagship Bottle Creek Gold Project located at Mt Ida gold belt, Western Australia. 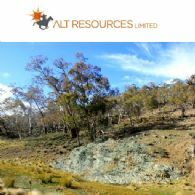 Alt Resources Limited (ASX:ARS) is pleased to provide shareholders its Activity Report for the quarter ending 30th June 2018. Alt Resources Limited (ASX:ARS) is pleased to provide this exploration update and advise the resumption of RC drilling at the Company&apos;s flagship Bottle Creek Gold Project located at Mt Ida gold belt, Western Australia. 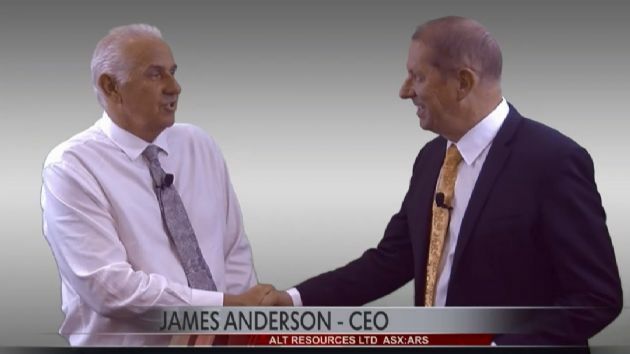 ALT Resources Ltd (ASX:ARS) CEO James Anderson is interviewed by ABN Newswire over the recent drilling activity at the company&apos;s flagship project Bottle Creek. Alt Resources Ltd (ASX:ARS) is pleased to announce the results from the final 30 RC holes drilled at the Emu deposit, Bottle Creek Gold Project, WA. Emu lies approximately 4 km to the north of the VB pit Figure 1 and the final results indicate continuity of the broad gold zones encountered at Emu. Alt Resources Ltd (ASX:ARS) is pleased to announce further results from the RC drilling program undertaken at the Emu deposit and the final 3 holes at Southwark deposit, Bottle Creek Gold Project, WA. Recent drilling at the Emu deposit covered 600 metres of strike length and the drilling at the Southwark deposit covered 300 metres of strike length indicating the scale and quality of this project. Alt Resources Ltd (ASX:ARS) is pleased to announce more outstanding results from the RC drilling program at the Southwark deposit, Bottle Creek Gold Project, WA. Southwark is an un-mined deposit that lies 1 km to the north of Emu. The latest Southwark results continue to reveal a coherent, steeply dipping ore zone which appears to be open and broadening at depth. The Board of Alt resources limited (ASX:ARS) is pleased to announce the completion of the acquisition from Latitude Consolidated Limited of the Mt Ida South and the Quinns Mining Centre tenement assets now known as the Mt Ida Gold Project by satisfying all terms of the Heads of Agreement made between the Company and LCD on 16 January 2018. Alt Resources Ltd (ASX:ARS) is pleased to announce the first results from the RC drilling program at the Southwark deposit, Bottle Creek Gold Project, WA. Southwark lies 1 km to the north of the Emu deposit and the first results indicate continuity of the broad gold zones encountered at Emu. Alt Resources Ltd (ASX:ARS) provides the Company&apos;s Quarterly Activities Report for the period ending 31st March, 2018. 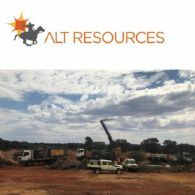 Alt Resources Limited (ASX:ARS) is pleased to advise that the recent capital raising announced on 17 April 2018 by the Company has been increased as the lead managers, Canary Capital and the Company received in excess of $5,000,000 in applications for shares from existing, sophisticated and professional investors. Alt Resources Limited (ASX:ARS) is pleased to provide the following information on exploration progress at the Bottle Creek Gold Project. Challenge Drilling arrived on site 17 April 2018 to complete the final stages and the deeper drill holes as part of the Company&apos;s maiden RC drilling programme at Bottle Creek Gold Project. 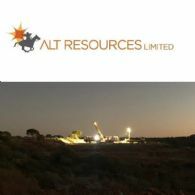 Alt Resources Limited (ASX:ARS) is pleased to announce that it is proposing to undertake a capital raising to raise up to $2,736,000 before issue costs. The share issue comprises a placement to sophisticated and professional investors. 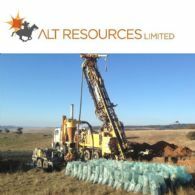 Alt Resources Ltd (ASX:ARS) has received a further 900m of assay results from RC drilling at the Emu Deposit, Bottle Creek, WA. Gold assays have been received from drillholes EMRC021 to EMRC033 with results up to 53.0 and 50.4 g/t Au. Alt Resources Ltd (ASX:ARS) provides the Company&apos;s latest Presentation on Corporate Update, April 2018. The Board of Directors of Alt Resources Limited (ASX:ARS) is pleased to provide shareholders with an overview of strategic planning for the future development of the Bottle Creek Project as a Mining Hub for the Mt Ida gold belt. Alt Resources Ltd (ASX:ARS) is pleased to announce the receipt to date of 1,600m of RC drilling results from the Emu Deposit at Bottle Creek, WA. Gold assays have been received from drillholes EMRC010 to EMRC020, and multi-element assays have been received for EMAC001 and EMRC004. Alt Resources Ltd (ASX:ARS) is pleased to provide the initial results of the first RC drilling program to be undertaken at the Bottle Creek Gold Project since 1988. Alt commenced drilling at the Emu Deposit, Bottle Creek, on the 12th March, 2018. Initial assay results from the first 10 holes drilled, have returned grades up to 21.8 g/t Au, alongside broad, consistently graded zones such as 23m @ 3.99 g/t Au. 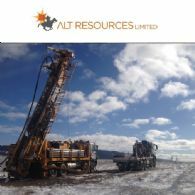 Alt Resources (ASX:ARS) is pleased to announce that assay results have been returned for the recent Reverse Circulation drilling program at the Rock Lodge Prospect, Myalla, in southern NSW. Individual assay results include up to 5.36 g/t Au, 55.6 g/t Ag, 0.12 % Bi, 0.81 % Cu, 1.56 % Pb and 1.46 % Zn across the project. 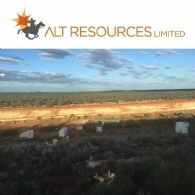 Alt Resources Ltd (ASX:ARS) is very pleased to advise that installation and construction of the Bottle Creek Gold Project camp has been executed in 14 days. Completion of the camp construction now enables Alt to proceed with the accelerated development of the Project. Alt Resources Ltd (ASX:ARS) is pleased to provide the outcomes of an ongoing review of historical drilling data from the Bottle Creek Gold Mine in WA. The Company is continuing to compile and digitise the extensive historical dataset for the area. 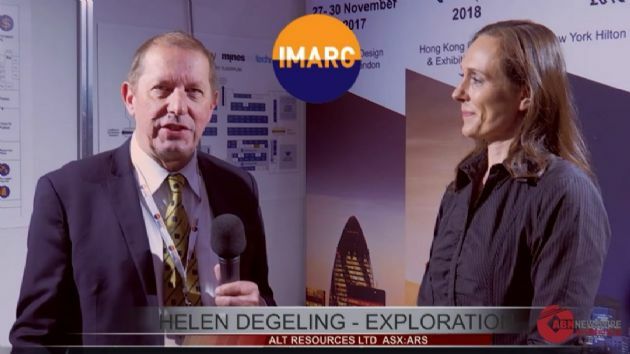 Alt&apos;s immediate focus is on un-mined gold mineralisation such as at Emu, Southwark and the un-mined ore shoots beneath the existing VB and Boags pits. 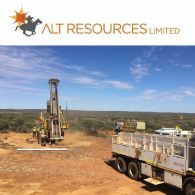 Alt Resources Ltd (ASX:ARS) announces first pass Reverse Circulation drilling has been completed at the Myalla Project located in southern NSW. The program was suspended early due to technical issues with the drill rig. 6 holes of the 9 hole program were completed. 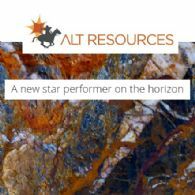 The Board of Alt Resources (ASX:ARS) is pleased to provide shareholders with a summary of exploration activity being undertaken at key projects within the Company&apos;s portfolio. In the last 6 months, Alt has aggressively sought acquisition of key new gold projects in the Mt Ida region of Western Australia (Bottle Creek, Mt Ida and Quinn&apos;s). Alt Resources Ltd (ASX:ARS) provides the Company&apos;s Quarterly Activities Report for the period ending 31st December, 2017. 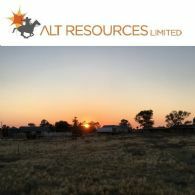 Alt Resources (ASX:ARS) is pleased to inform shareholders that it has submitted a Program of Works Application for approval by the WA Department of Mines and Petroleum for planned resource drilling at the Bottle Creek Gold Project near Menzies, WA. As announced on 16th January 2018 Alt Resources Limited (ASX:ARS) has entered into a binding Heads of Agreement with Latitude Consolidated Limited to purchase tenement assets. Alt is now pleased to announce completion of the first condition of the HOA, being the cash payment of $400,000 to LCD. Alt Resources (ASX:ARS) is pleased to announce the acquisition of a significant exploration package in the Mt Ida district, WA. The landholding encompasses the historical Quinns and Mt Ida South mining centres, and contains existing JORC resources of 1.24 Mt @ 2.5 g/t Au, for 97,300 oz Au. 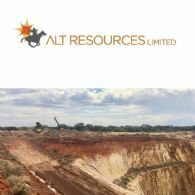 Alt Resources (ASX:ARS) is pleased to advise the Share Purchase Plan announced 15 November 2017 has closed oversubscribed on 13 December 2017. Alt Resources (ASX:ARS) is pleased to advise that it is been granted AUD$32,500 by the West Australian Government Exploration Incentive Scheme for 2018. Alt Resources Limited (ACN 168 928 416) (ASX:ARS) is pleased to advise that further to the Company&apos;s previous announcement dated 15 November 2017 regarding its Share Purchase Plan the Board has decided to extend the closing date for the SPP offer by five days. Applications will now be accepted until 5.00pm on Wednesday 13 December 2017. Alt Resources Ltd (ASX:ARS) is pleased to provide the outcomes of an ongoing review of historical drilling data from the Bottle Creek Gold Mine in WA. The Company is continuing to compile and digitise the extensive historical dataset for the area, with an immediate focus on un-mined gold mineralisation such as Emu and Southwark. 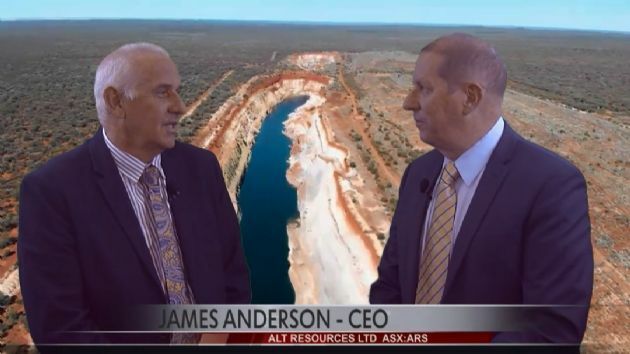 Alt Resources Ltd (ASX:ARS) CEO James Anderson is interviewed by ABN Newswire regarding the recent acquisition of the historic "Bottle Creek" gold mine in the Eastern Goldfields of Western Australia. Alt Resources (ASX:ARS) is pleased to announce the results of a thorough review of the geochemistry of the Paupong Project. Cobalt has been identified as a key component of the Paupong mineralised system; grades up to 0.12% Co have been detected. 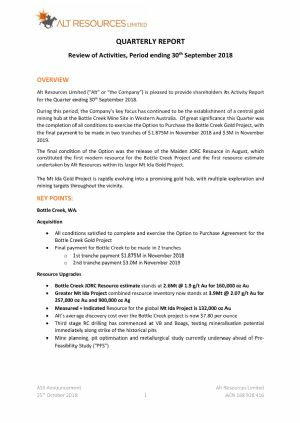 Alt Resources Ltd (ASX:ARS) is pleased to announce that pursuant to the terms contained in the Bottle Creek Gold Mine Option to Purchase Agreement and as at the 29th November 2017 the Company has completed all the necessary payments to the Vendor securing the Bottle Creek Gold Mine project for the Company. Alt Resources Ltd (ASX:ARS) is pleased to provide an initial review of historical drilling data from the Emu deposit at the Bottle Creek Gold Mine. 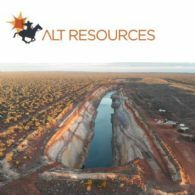 Alt Resources Limited (ASX:ARS) is pleased to announce that it is proposing to undertake a capital raising to raise up to approximately $1.25 million before issue costs. The share issue comprises a placement to sophisticated and professional investors to raise $999,895, and a Share Purchase Plan to existing eligible shareholders to raise approximately $250,000. Alt Resources (ASX:ARS) is pleased to announce it has entered into a legally binding Option to Purchase Agreement to acquire the Bottle Creek Gold Mine located 100 km north east of Menzies in the Mt Ida gold belt. The Option provides exclusive rights to the Company to acquire 100% of the Bottle Creek Gold Mine for a period of 12 months. Alt Resources (ASX:ARS) is pleased to announce the completion of 1,489m of RC drilling at its Mt Roberts Gold Project, near Leinster, WA. Drilling focused on outlying targets to the south and east of the main Mt Roberts Workings. Alt Resources Ltd (ASX:ARS) provides the Company&apos;s Quarterly Activities Report for the period ending 30th September, 2017. Alt Resources Ltd (ASX:ARS) has made significant advances over the past year expanding our exploration activity and asset acquisition and has achieved this with limited cash reserves, optimising our assets and the cash investment in these assets. 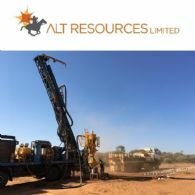 Alt Resources Ltd (ASX:ARS) is pleased to announce that RC drilling has commenced at the highly prospective Mt Roberts Gold Project, near Leinster, WA. 22 RC holes have been planned, for a total of 1,700m. Alt Resources (ASX:ARS) is pleased to announce that it has received a $546,000 tax incentive payment from the Federal Government, for Research and Development activities at its flagship Paupong Project in southern New South Wales. The incentive was awarded for innovations and advancement of geological knowledge in this under-explored and poorly understood geological province. Dr Degeling is an experienced Geologist with ten years gold and base metals exploration in the Pilbara, Yilgarn and Gawler cratons and the Mt Isa Inlier and the Lachlan Fold Belt. 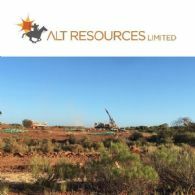 Alt Resources Ltd (ASX:ARS) is pleased to inform the market of new target generation work at the Mount Roberts Gold Project near Leinster, WA. Re-processing and interpretation of detailed historical magnetic data has revealed a district-scale sequence of major parallel crustal-scale shear zones, with internal secondary mineralised splays. Alt Resources Ltd (ASX:ARS) provides the Company&apos;s Quarterly Activities Report for the period ending 30th June, 2017. Pursuant to the binding Terms Sheet with ASX listed Montezuma Mining Limited (ASX:MZM), Alt Resources (ASX:ARS) is pleased to advise that it has completed the acquisition of E36/843 and paid Montezuma a cash payment of $4,465.00. Furthermore, 1.25M ARS shares were issued to Montezuma at an issue price of $0.04 cents. Continuing research and exploration activities by Alt Resources Ltd (ASX:ARS) at the Paupong Project near Jindabyne in southern NSW, support the existence of a cluster of intrusion-related mineralisation systems across a large, 4+ km area within the Company&apos;s tenure. Furthermore, ongoing research has enabled a whole system view to be developed for the entire Paupong Project for the first time. Alt Resources Ltd (ASX:ARS) is pleased to announce it has entered into a binding agreement with ASX listed Montezuma Mining Limited (ASX:MZM) to acquire E 36/843. Alt Resources Ltd (ASX:ARS) has been successful in its application for DMP approval for the planned resource and exploration drilling programs at the Mt Roberts Gold project near Leinster, WA. The next phase of activity will include a close-spaced resource drilling program at the Mt Roberts Workings, as well as testing satellite exploration targets elsewhere within the tenements. Alt Resources Ltd (ASX:ARS) is pleased to announce the Norseman-Lake Cowan Project as a new acquisition to the Company&apos;s portfolio of assets. Alt Resources Ltd (ASX:ARS) is pleased to provide the Company&apos;s latest Quarterly Activities Report for the period ending 31 March 2017. Alt Resources (ASX:ARS) is pleased to announce that it has received a $512,000 tax incentive payment from the Federal Government, for Research and Development activities at its flagship Paupong Project in southern New South Wales. Alt Resources Ltd (ASX:ARS) is pleased to provide the following exploration update and Corporate Strategy for the Mt Roberts gold project near Leinster, WA. A new program of exploration activity has commenced at the project, with detailed geological mapping and new target generation completed in March 2017. Alt Resources Ltd (ASX:ARS) is pleased to provide the following exploration update for the Paupong Project, southern NSW. Diamond drilling at the Windy Hill prospect was completed on the 28th March, 2017. The drilling program tested greenfields intrusion-related gold targets, newly defined by Alt Resources in May 20161. The directors present their report on Alt Resources Limited (ASX:ARS) for the Period from 1 July 2016 to 31 December 2016. 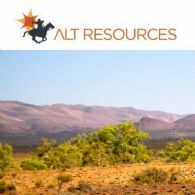 Alt Resources Ltd (ASX:ARS) is pleased to provide an update to exploration activities at its Paupong, Myalla and Mt Roberts projects in NSW and WA. Alt Resources Ltd (ASX:ARS) is pleased to provide the Company&apos;s Quarterly report for the period ending 31st December 2016. Alt Resources Ltd (ASX:ARS) is pleased to announce that the first diamond drillhole at Windy Hill has been completed to a depth of 401.5m. Windy Hill has been defined as a significant Intrusion-Related Gold (IRG) target. 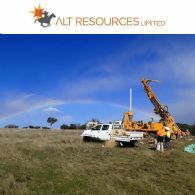 Alt Resources Ltd (ASX:ARS) is pleased to provide final assay results from the Mt Roberts-Cottee gold project RC drilling program, near Leinster, WA. New results include confirmation of a significant new mineralised system in the south of the project area, previously only identified as a gold-in-soil anomaly. Alt Resources Ltd (ASX:ARS) is pleased to announce that drilling has commenced at the Company&apos;s flagship Paupong Gold-Base Metals project in the southern Lachlan Orogen, NSW. 7 diamond holes have been planned across the prospective Windy Hill area, for a minimum of 2,000m. Windy Hill has been defined as a significant Intrusion-Related Gold target through comprehensive geophysical, geochemical and geological investigation. Alt Resources Ltd (ASX:ARS) is pleased to announce encouraging initial results from the Mt Roberts-Cottee gold project, near Leinster, WA. 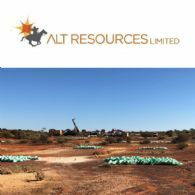 Alt Resources Ltd (ASX:ARS) is pleased to announce that drilling commenced on the 31st October at the highly prospective Mt Roberts-Cottee gold project, near Leinster, WA. Alt Resources Ltd (ASX:ARS) is pleased to provide the company&apos;s Quarterly Activities Report for the period ended 30th September 2016. 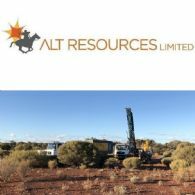 Alt Resources Ltd (ASX:ARS) is pleased to announce that drilling will commence on the 31st October at the highly prospective Mt Roberts-Cottee gold project, near Leinster, WA. 29 RC holes have been planned, for a total of 1,800m. A Plan of Works has been approved by the West Australian Department of Mines and Petroleum. 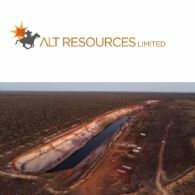 Alt Resources Ltd (ASX:ARS) is pleased to announce that it is undertaking a capital raising to raise $1.482 million before issue costs. The share issue comprises a Placement of $1,082,000 to sophisticated and professional investors, and an SPP offering to raise up to $400,000 to existing shareholders. Alt Resources Ltd (ASX:ARS) has entered into an agreement to acquire a 100 per cent interest in the Chameleon gold deposit and associated tenements in WA&apos;s Eastern Goldfields. The acquisition from Minotaur Gold Solutions Ltd, a majority owned subsidiary of Minotaur Exploration (ASX:MEP), includes a JORC 2012 resource for the Chameleon gold deposit. Alt Resources Ltd (ASX:ARS) has been awarded the maximum drill funding of $200,000 for Round 2 of the NSW Government&apos;s New Frontiers Co-operative Drilling Program. The grant has been awarded for upcoming drilling at the Windy Hill Intrusion Related Gold (IRG) Prospect at the Company&apos;s flagship 70%-owned Paupong gold and base metals Project in southern NSW. 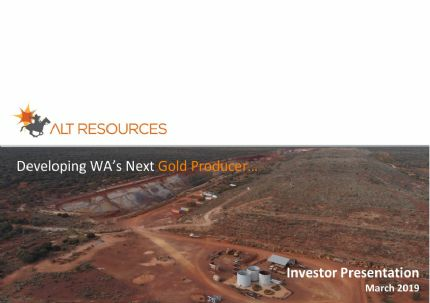 Alt Resources Ltd (ASX:ARS) is pleased to announce that it has secured a highly prospective gold project in one of Australia&apos;s most recognised goldfields. Alt has reached an agreement with Mount Roberts Mining Pty Ltd (MRM) to farm into the Mount Roberts-Cottee Project near Leinster, WA. Alt Resources Ltd (ASX:ARS) is pleased to advise that it has secured a highly prospective gold exploration opportunity in a well-endowed historic goldfield located 90km from Canberra after reaching agreement with Ironbark Zinc (ASX:IBG) to farm into the Fiery Creek Gold Project in NSW. Alt Resources Limited (ASX:ARS) announce the Quarterly Activities Report for the period ending June 2016 with significant highlights. Alt Resources Ltd (ASX:ARS) has completed diamond drilling at its flagship Paupong Project near Jindabyne in southern NSW. The Kidman Prospect continues to show encouraging results, whilst preliminary drilling at Windy Hill shows strong, though narrow, polymetallic vein-hosted mineralisation along a 250m strike. 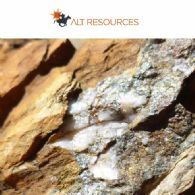 Alt Resources (ASX:ARS) new mineralised zone at Paupong Project; the zone is characterised by quartzsulphide veins outcropping at surface, hosted in Adaminaby Group sandstone. Rock chips returned results up to 451 g/t silver and 1.36 % bismuth, with up to 1.8 g/t Au and 0.78 % Pb. Alt Resources Ltd (ASX:ARS) is currently undertaking diamond drilling at its flagship Paupong Project near Jindabyne in southern NSW. Two first pass diamond holes have been completed at the newly discovered Windy Hill prospect, 3.5 km north-east of Kidman prospect area. 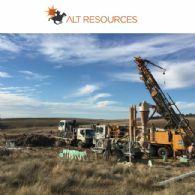 Alt Resources Ltd (ASX:ARS) is pleased to advise that it has taken an important step forward in the ongoing exploration of its flagship Paupong Project near Jindabyne in southern NSW. Alt has successfully defined a number of significant new intrusion-related gold targets in a newly identified area.